Home care emphasizes companionship, comfort & independence. At Homeland Home Care, we believe the quality of care a person receives does wonders for our overall well-being. Once contacted, a Home Care coordinator will schedule a visit to your home to explain your choices and create an individualized plan that fits your needs. We only hire certified nursing assistants (CNAs). They are supervised and trained by licensed nurses as Direct Care Workers per the Department of Health guidelines. You will receive care that always lives up to Homeland’s reputation for compassion and quality. 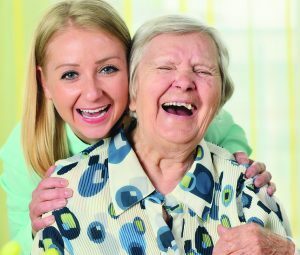 Home care is paid for by the client, either directly or through long-term care insurance. To schedule an appointment, fill out our Needs Assessment Form or call 717-221-7892.